There are a few strategies that you can use to reduce your costs of flying. These assume you have some flexibility around your specific flight and value the transportation. When booking, make sure to look at the total package price, including costs of bag fees and potential change fees if you may need the flexibility. Always make sure to use the correct credit card when making a flight booking. I have spent many hours trying to reduce the cost of flying. In this time, I have learned many strategies that have helped me save significant amounts of money. In this series of articles I’ll try to share my strategies with you. This article will focus on the things to consider when trying to reduce your cost of air travel. In the next one, I’ll go over how to use the tools to investigate these options, and in the final article, I’ll go through a few examples and show you the kinds of savings that can be had. The first thing to consider when you are deciding which flight to take is what is your total cost of the trip, combined with the total benefits of the trip. This means you need to take into account various costs and benefits. Junk fees like seat selection, boarding pass printing etc. If, for example, you are planning on checking a bag on a flight between Toronto and Miami, (direct flights only being considered here) consider that the route is serviced by many carriers, including Air Canada, American Airlines, and Westjet. Both Air Canada and American Airlines charge $25 for the first checked bag, while Westjet allows each passenger their first checked bag for free. In this case, you should choose the Westjet flight as long as the Westjet fare it is no more than $25 more than either the American Airlines flight or the Air Canada flight. You also need to consider the value of the rewards that you will receive including the value of your frequent flyer miles. In most cases, the value of the miles will be the same across all of your options, but if you value certain miles more than others, it is important to take those into account. 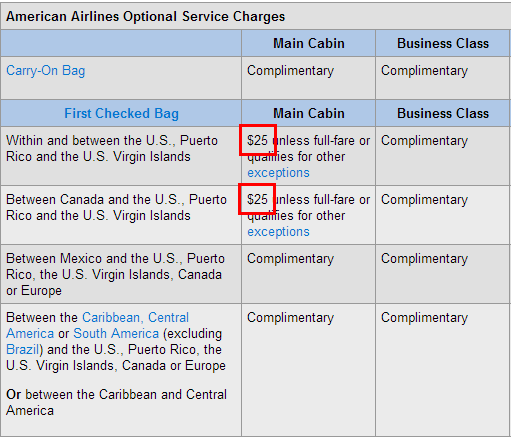 If the value of the American AAdvantage miles you expect to earn on a specific flight are worth $20 (based your valuation), while the value of the Aeroplan miles you expect to earn on a similarly routed flight are worth only $5 (based on your valuation), you might be willing to pay up to $15 more to take the American Airlines flight (all else being equal). I discuss the Alliance and something to consider when deciding which program to collect miles in here. You should also consider the benefits you may receive from the booking engine you use. Sometimes airlines offer an extra few miles for booking through their website and other engines such as Expedia offer points for booking through them. Credit card rewards should also be considered. If you use the right card, you could earn significant value from the points earned for the booking. There are a few main strategies that you can use to lower your costs. The biggest thing you can do to save money is to be flexible with your dates and times of travel. Depending on the route, there are certain times that are going to be in higher demand, and thus more expensive flights. Another thing that can help you save a lot of money is by looking at different airports near your destination. This is especially true in Canadian cities very close to the border. In my alternate airport series, I show how to use certain airports as alternatives for Canadian border cities. As an example, I show how you can save $450 / person by flying out of Buffalo (BUF) instead of Toronto Pearson (YYZ) on a trip to Houston. Often there are specific promotions that will make it more lucrative to fly with one carrier over another. I find that these are, more often than not, in the form of extra frequent flyer miles, as opposed to discounts off the top. If you can leverage these promotions, it is possible to get significant rewards for the flights you would be taking anyway. The best place to look for these carrier specific discounts is directly on the website of each carrier. I would suggest also signing up for the email lists of the airlines that you prefer flying with. The airline marketing departments do need to work on understanding the difference between a valuable email and a non-valuable email. It seems that only about 6 out of 10 emails that I receive from an airline is actually worth reading but those valuable emails can be very valuable. 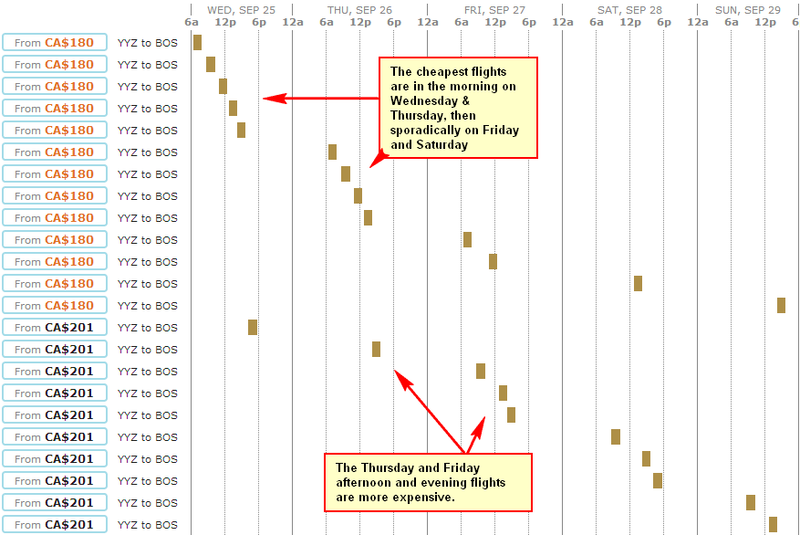 Here is an personal example of when airlines discount specific routes by offering frequent flyer miles. Many years ago, I was a regular traveler between Boston Logan and Baltimore-Washington. The 3 carriers on this route were Southwest, Jetblue and Airtran. Southwest’s frequent flyer program, at the time, was a credit system where you receive 1 credit for each flight you take, and it required 16 credits for a free roundtrip ticket anywhere in the Southwest system. I value each credit around $20. At the time, Southwest would regularly have double credit promotions for flights in and out of Boston Logan, and for flights in and out of Baltimore-Washington. This meant that I received benefits of $40 (double the $20 I value each credit at) for each one-way flight I took. When each one-way flight cost $50, this meant I was able to fly, quite regularly for $10 each way when this promotion was going on. You can also look for carrier-specific coupons which can be valid on any flight within the system. Often (moreso in the past), carriers would have coupons that could be used on any flight. I find that the best way to find these is by searching the regular secondary markets where people sell things of value. I find craigslist, kjiji and eBay are good places to do quick searches for “United Coupon” or “Delta Voucher” to see if these even exist. If there are any of these coupons floating around, you can generally find them being sold. Make sure to check the fine print on these coupons though. A few years ago, when planning an event in Chicago (United Airlines’ hub), I found that United Airlines had a coupon for $75 off any 1-way flight within the 48 United States floating around. The fare for flights between Buffalo and Chicago were listed for $80 each way, so I was able to use these to get people from the Toronto area to Chicago for $5 each way + the $15 cost of the coupon. You can also look at buying gift cards for specific carriers at a discount. Using the regular gift card reseller sites, such as Cardpool and Plastic Jungle (US) or Gift Card Granny (Canadian), you can often buy the gift cards for 5%-10% off the face value, which would translate directly to savings in your pocket. Personally, I don’t like using gift cards to buy airline tickets because I like the insurances that my credit card offers me. This is a personal decision of mine, but feel free to decide on how much you value the insurance and credit card benefits. The best way to compare the different prices at different booking engines, without going to too much trouble, is by checking the fare on Kayak, as the rates for each routing, at each booking engine, are clearly displayed. This can save you a lot of energy if you can notice a mispricing at a booking engine that offers a fare guarantee. For example, Delta.com (as well as almost all the other carriers) offers a price guarantee if you find another booking engine that is $10 or more less than Delta.com for the same itinerary. They back up this guarantee with a $100 voucher if you find a cheaper fare. If you check out Kayak, along with the other booking engines (by clicking the “compare all” button), you can get a sense of where the lowest prices are. If you find that the ITA Matrix or Kayak gives a lower fare than Delta.com does on a Delta flight, then I would spend the energy to find the booking engine where you can get the lower fare and then submit a claim to Delta. Some booking engines, such as Expedia have their own rewards programs where they give points for booking airline tickets through their engines. 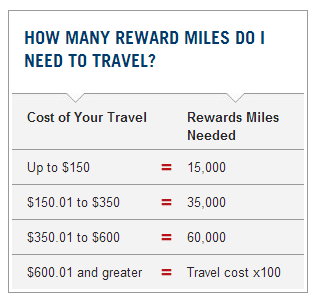 In general, I have found these to be very weak, offering much less than .5% of value back in rewards on airline tickets. More often than not, airline tickets get a flat number of points. If you are indifferent between engines, then this is some free pocket change, but these do tend to be, in general, insignificant amounts. I find that a bigger way to save is by using the referral links from shopping portals where a percentage of the sale gets given back to the customer for using the shopping portal link. In general, hotels are much more lucrative and rewarding, but airline tickets do sometimes give decent returns. I find that, in general, the amount given is in the range of a few dollars, but there are some portals, combined with some booking engines that gives a percentage back. For this purpose, the shopping portal I would suggest for expensive flights is Top Cash Back, where you can link to CheapTickets. 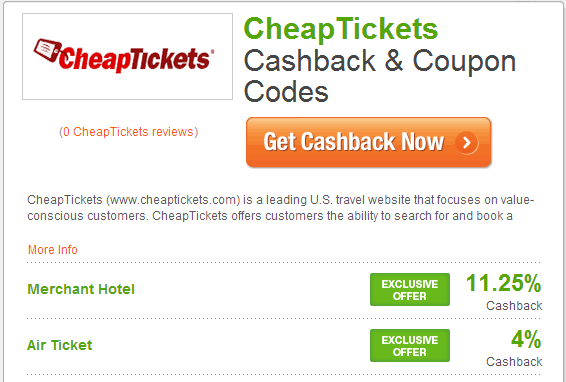 If you make your booking through CheapTickets and use Top Cash Back’s link to get there (instead of typing CheapTickets into your browser), Top Cash Back will give you back 4% of the ticket price. This means that you can get $40 back on a $1000 ticket purchase. I find that both CheapTickets and Priceline booking pay percentage referral commissions on airline bookings while most other engines pay flat amounts for airline bookings. Note that purchases at CheapTickets would be in USD so bear that in mind. If you are booking cheap, short tickets, I like to use Top Cash Back linked to Orbitz where you will receive a flat $5 (this often changes) for each flight you book. If I can split my flight into separate one-way flights, then I buy each one separately and get my $5 for each one. If you are booking your ticket and want to pay in Canadian Dollars, you may be better off taking a smaller commission from Travelocity.ca or Expedia.ca so you don’t have to pay any currency conversion charges on your credit card. Linking to these engines from eBates will yield $1.25 at the time of this writing. If you are booking a few flights, it can be beneficial to do some research using EVReward or going searching through the preferred booking engines on eBates or Top Cash Back. There are many, many sites devoted to how to get the most out of your frequent flyer programs and credit card points. If you do have a sizable amount (or even if you don’t), it is definitely a worthwhile endeavour to find out if you can buy your ticket using frequent flyer miles for less than the price of a revenue ticket. I comment on how to use Aeroplan miles, and other miles to reduce your cost of travel here. Something I have done for many clients of my Award Booking Service is to buy US Airways miles when they are cheap, then redeem them for overseas flights in business class. In general, the best times to investigate these options is if you are interested in flying in premium cabins and overseas. Often the programs have standard mileage redemption prices for either zones (ie 25K for flights within North America) or by distance (ie 4500 miles for flights of less than 500 flying miles). If you are traveling on a route that has more expensive flights than most flights in that zone, or of that distance, it would also be a good idea to investigate mileage options. An example that I use is a Winnipeg to Timmins flight. The cash prices of these flights are close to $800 (roundtrip). Alternately, you can use 15K Aeroplan miles + $100 in taxes and fees (assuming there is availability). In this case, you would be better off buying up the miles at close to $0.04/mile to take this flight. This is a very legitimate option, given that some program’s miles can often be bought for $0.025 or $0.03. See my section on the best ways to travel by city. 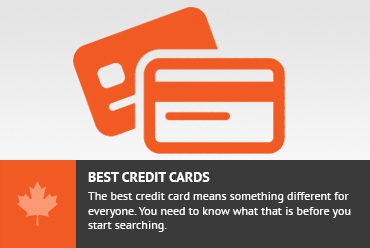 You should also consider using any credit card points you may have accrued. In general, credit card point programs will be cash-based, and will basically give you a ticket up to a certain number of dollars (say $350), and it will cost you a set number of credit card points (say 35k). In this case, if you can set up your flights to cost slightly under the threshold (say $349.99), then you can maximize the value of your credit card points. This is the Capital One Aspire World Mastercard’s schedule. You should be very aware of how your credit card points are valued. Sometimes it is as simple as refunding you the purchase price of a ticket, regardless of where you bought it from. At this point, the decision to redeem credit card points for your flight should be independent of how to buy your ticket. There are a few ways to reduce your costs of flying. Sometimes you just have to fly at a specific time, but sometimes you have some flexibility. You will also want to look at the entire package price, including bag fees you might incur or any other fees you may incur. A final thing to note is that you should try to use the best credit card for traveling, including one that has insurances etc. built in. Don't subscribe All Replies to my comments Notify me of followup comments via e-mail. You can also <a href='https://www.creditwalk.ca/comment-subscriptions/?srp=865&srk=2648578ecea05c83754707575dc5a494&sra=s&srsrc=f'>subscribe</a> without commenting.